The Advent foam system was designed with the firefighter in mind. An emergency is not the time to perform complicated procedures in order to operate a foam system. The Advent system is activated by the flip of one switch. It’s that easy! Plus, Advent foam systems offer the proven performance and reliability of basic balanced pressure technology packaged in a user-friendly yet extremely versatile configuration. 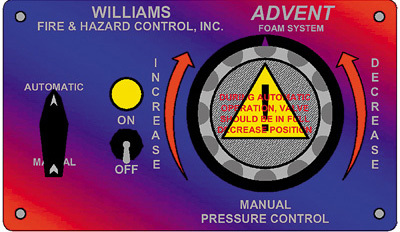 When simplicity and performance counts – count on Williams Fire and Hazard Control (WF&HC) Advent foam systems. The Advent systems were designed for use with WF&HC Thunderstorm and T-Storm AR-AFFF type concentrates for hydrocarbon and polar solvent fuels and all “Class A” structural firefighting foams used today. The Advent can also be used to proportion other brands of modern “Class B” synthetic (Thixotropic) and protein foams. The system combines the proven reliability of a balance pressure foam system along with simplified user-friendly controls. 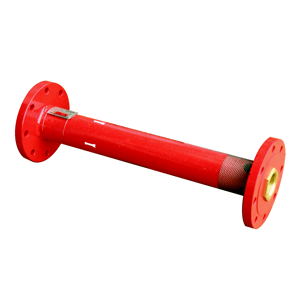 In operation, foam concentrate pressure, supplied by a positive displacement pump, shall be automatically controlled so that it is equal to system water pressure by regulating foam concentrate by-pass flow. This by-pass flow is returned to the suction side of the foam pump. A Foam-to-Water heat exchanger (shell & tube type) is employed to keep the foam cool in the event of a prolonged “dead head” pump operation. Each water discharge (that is dedicated for foam operation) shall be equipped with a ratio flow controller, which proportions foam concentrate into the water line. The ratio controller is a device that creates a small “metering pressure drop” based on the amount of flow that is passing through it. The greater the flow the more foam enters the system, and the lower the rate the less foam enters the system. Foam concentrate shall be pumped from the tank and discharged through metering valves to the individual ratio flow controllers. These metering valves function as a concentrate shutoff, as well as adjustable foam percentage control devices (up to 6%) for each foam system discharge. Foam solution shall be produced at any ratio flow controller/discharge connection by opening the corresponding foam solution metering valve to the desired percentage rate. Plain water shall be simultaneously available at the remaining discharge connections. 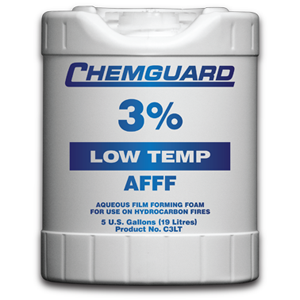 The Advent system is available in standard capacities of 12, 30, 60 and 120 gpm (45, 114, 227 and 454 Lpm) foam concentrate flows. The Advent 12 is available as a 230 VAC, 3 HP electric or chassis transmission PTO driven configuration. The 230 VAC electric driver versions can be used where all PTO openings are being utilized for other applications and/or foam system operation independent of chassis engine speed is needed and/or desired. Advent 30, 60, 120 and all optional flow capacity systems available as PTO driven only. 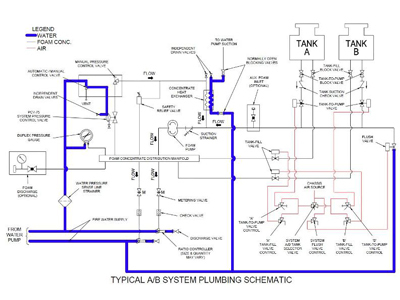 (1) Single tank system Tank Suction / Tank Fill valves default to “B” sizes. (3) No NFPA listing for 8″ discharges. (4) Based on 8″ ratio controller midrange flow of 3000 gpm. (5) For 1 x 3 applications 3% = 1% orifice size of .561″ plus second orifice size of .688″. 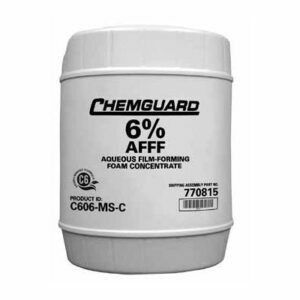 (6) For 3 x 6 applications 6% = 3% orifice size of .983″ plus second orifice size of 1.010″. Complete Advent System consists of base unit, choice of either single or dual tank controls, and required size(s)/quantity of ratio controller kits.